Homepage » Free Crochet Patterns » [Free Pattern] This Owl Mug Cozy Will Make Your Morning Coffee/Tea Even Better! [Free Pattern] This Owl Mug Cozy Will Make Your Morning Coffee/Tea Even Better! This mug cozy is not only super cute, it’s also super friendly! So wonderful to have company when drinking a hot coffee or tea in the morning! And you can clearly count on this owl to be the perfect friend, surely to show up and have a hot beverage with you, every morning and every time you want! 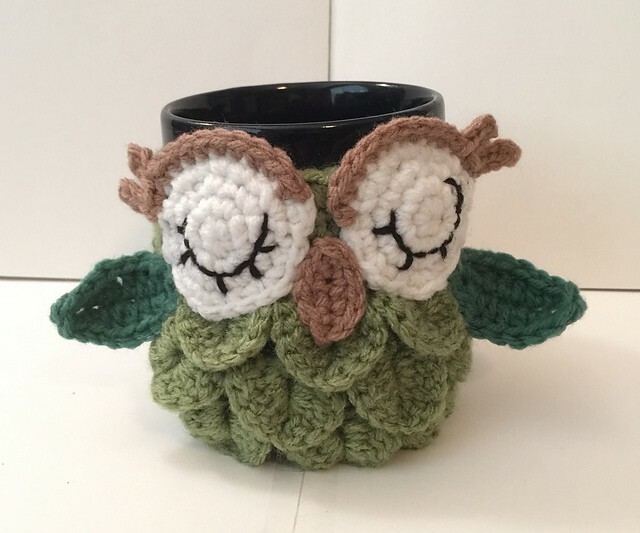 This Owl Coffee/Tea Mug Cozy by Katerina Cohee is a super quick and fun pattern to crochet even for someone who is really at the beginning of the crochet adventure. *for the eye stitching, you can use 2 strands of yarn or embroidery thread. Thanks to Katerina Cohee for the article inspiration and featured image. 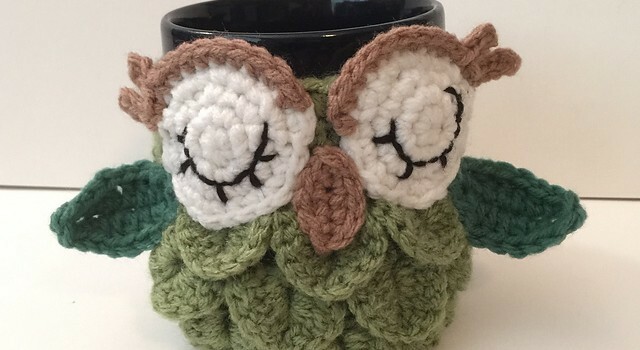 54 Comments to [Free Pattern] This Owl Mug Cozy Will Make Your Morning Coffee/Tea Even Better! Raelene Chase-Parlin add this to your owls. Yes it is. Going to work on it after the holidays. Omg I must make this for Darlie Genrich! Im not a big fan of owls all the time wonder if its adaptable to Robins for Christmas. Might have a try at that. Like thee good ideas! Jennifer Flowers you need to make this for Lukas. Rus Llepagripaus mira que bonic! ❤❤ quick and easy to make!! !